The project uses as a starting point the concept of “green superblock” from the 1901 project, transforming almost the entire sector with the exception of the central promenade into a green, draining ground with vegetal finishing. Since the conditions of use of public space have changed, the project proposes a hierarchy of routes with a significant reduction in wheeled traffic to increase the vegetal feature of the environment, thus recovering a well balanced and symbiotic relationship between architecture and the nature of the isolated pavilions. 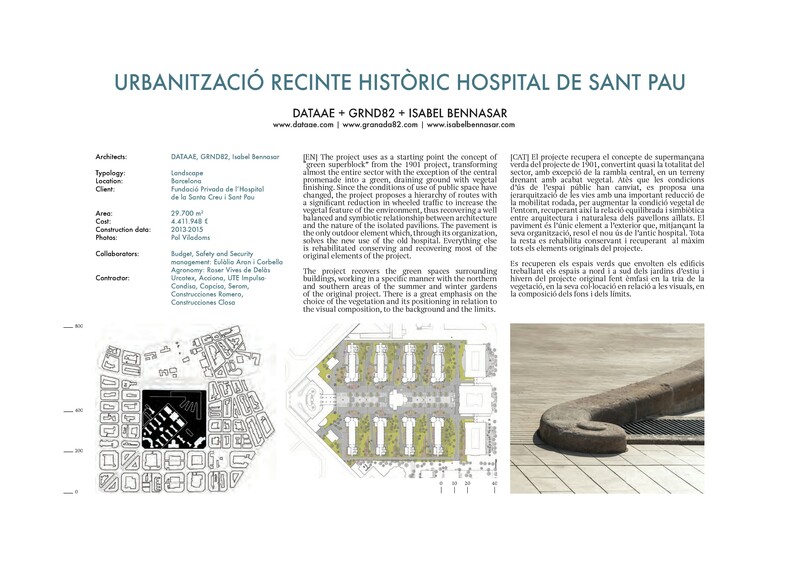 The pavement is the only outdoor element which, through its organization, solves the new use of the old hospital. Everything else is rehabilitated conserving and recovering most of the original elements of the project. 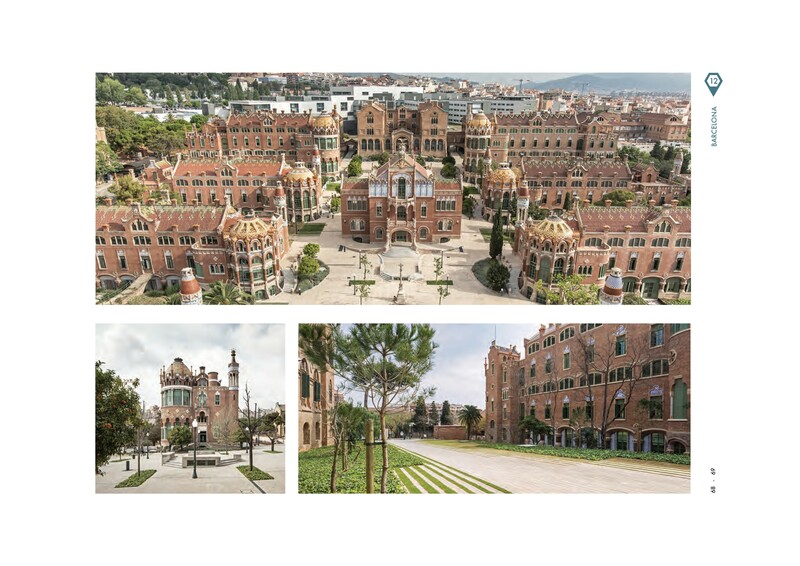 The project recovers the green spaces surrounding buildings, working in a specific manner with the northern and southern areas of the summer and winter gardens of the original project. There is a great emphasis on the choice of the vegetation and its positioning in relation to the visual composition, to the background and the limits.